Confirming. Stroboscope timing is always read on the flywheel or on a front-end crankshaft pulley. Thanks Max. I just got confused wether those marks where to represent cam or crank degrees. I’ve always just read them and never thought about what they actually mean. Please do remember to protect yourself. This so much fun watching your progress. I wish we were neighbors. Please explain your generator ignition system. Do you plan to squirt gasoline into your air inlet and ignite with the spark plug? What particle size does your sack filter catch? Is this your only filter? I know you are using charcoal, but I recommend filling the pipe with stainless steel scouring pads to serve as coalescers of any tars that may be suspended in the gas stream. You may also want to add a safety filter of about 200 or 250 mesh that will clog and stop the engine instead of gumming up internal parts requiring a tear down. The question at hand: Is the timing “switch” in the distributor, or is it connected to the camshaft? If it is in the distributor, then the turning of the distributor “body” gives change in fundamental timing setting. Please explain your generator ignition system. Do you plan to squirt gasoline into your air inlet and ignite with the spark plug? Exactly all from the drivers seat. What particle size does your sack filter catch? Is this your only filter? 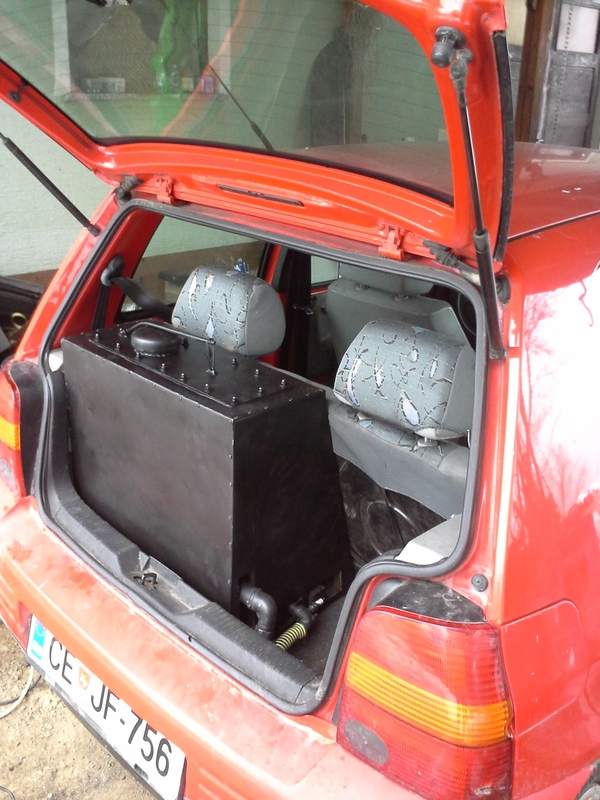 The gas first goes through the cyclone filter, wich eliminates 96% of the dust. It then passes through the radiator and in to the sack filter, made out of towel fabric (called frutir here). It has a lot of litle “knots” that realy clean the gas well. 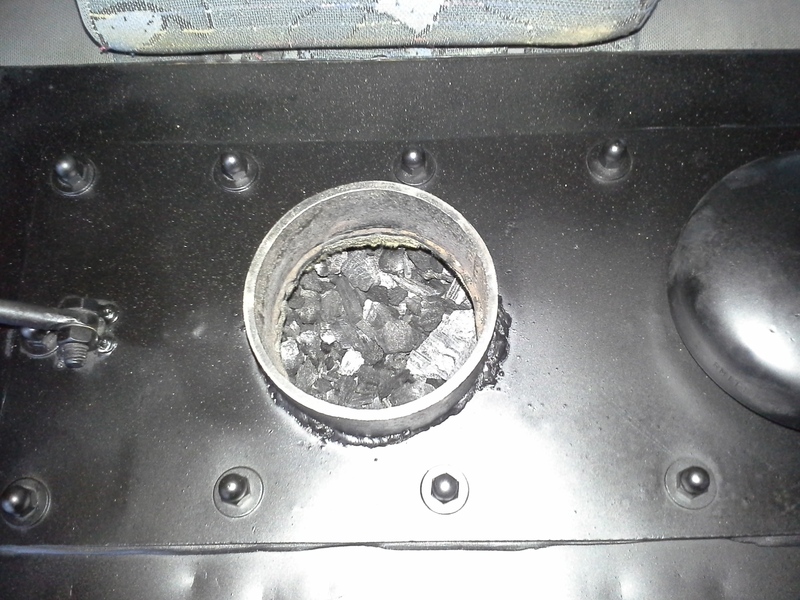 It also has a big surface area so eaven with 2mm of very fine dust on the surface the engine runs well. 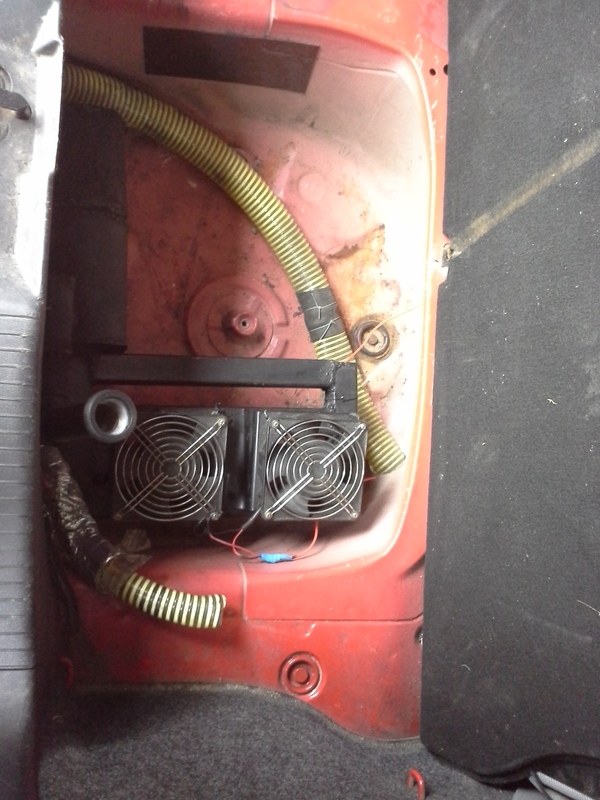 The gas is now super clean (the gas hose doesent show a sign of dust) BUT in case of sack failioure or what ever the gas, mixed with air now goes through the original engine air filter, made of paper. I think nothing can escape that. 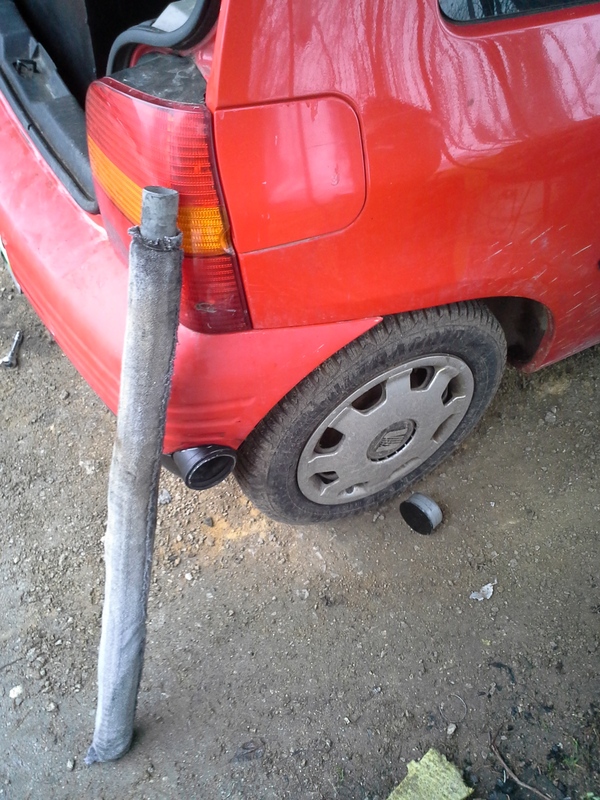 Seat Arosa 1.0 1998 any help is realy wellcome sir! do you mean the “hand” that rotates and distributes the spark? it is conected to camshaft. There is a ball velve on the bottom of the dust colector. Open and poak with a wire and she dust siffs out. No, that “hand” or “finger” is called rotor, just inside the distributor’s insulated (plastic) cap with the pegs for the sparkplug wires. 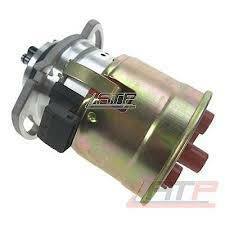 It is distributing the HIGH-tension from the ignition coil to the appropriate sparkplug. With “switch” I mean the low-tension 12V switching organ, like traditional braker-points! It is now a’days usually an optically or magnetically switching device, giving the timing for the spark to be generated by the ignition coil, either directly or via the computer. side and going to a transistorized power switch “activating” the ignition coil. Thanks for the model year! Does that one need a puffback lid or is this a test run,looks nice,you can allways tin a plexy window in behind drive seats if it suits you fancy later,looks close too driveing. But no complete distributors, just components. 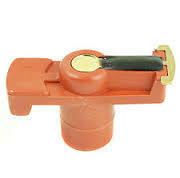 As your photoes do not picture whole the distributor, it is hard to determine the type. Hopefully you can make better pictures, where the signal wires from the distributor are followed up where they are going. Is the motor an injection motor or carburettor type? My guess is it is a TBI = throttle body injection, or one-point injected fueled type. If you have a workshop service book, all details would be identified easily. One way to identify if the distributor has a centrifugal advance mechanism, is to check if you can rotate the distribution rotor some 10-15 degrees forward in the rotation direction. Only a two-finger grip and slowly feeling if you can overcome the small centifugal return-spring force, normally countering the weights when RPM is retarding. 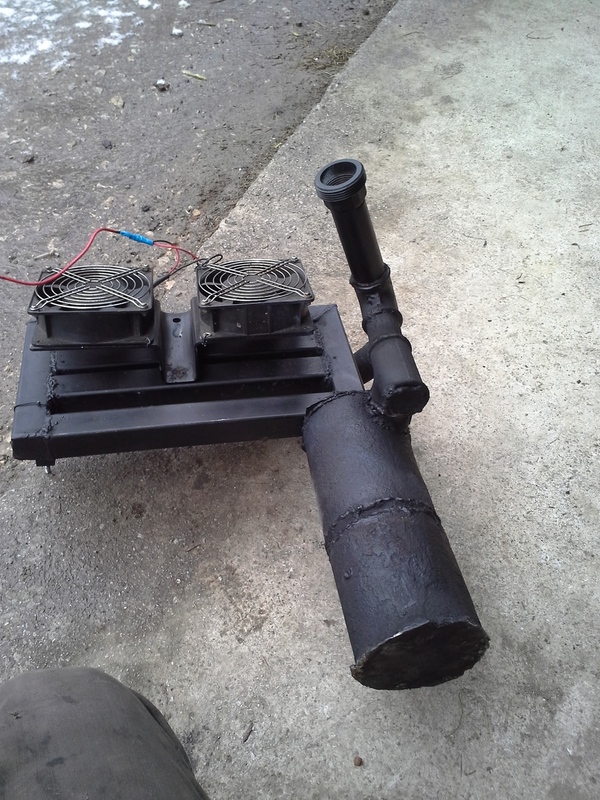 I never realy experianced a puff in any of my charcoal generators so l didnt bother to put a puff lid on it. In case of a big puff the lid helt down with a spring steel rod can still lift a few mm to relive the presure. the distributor with connections. You can see the sloted screw holes. The black box is where the thin wires come in. Each cylinder has its own fuel injector. 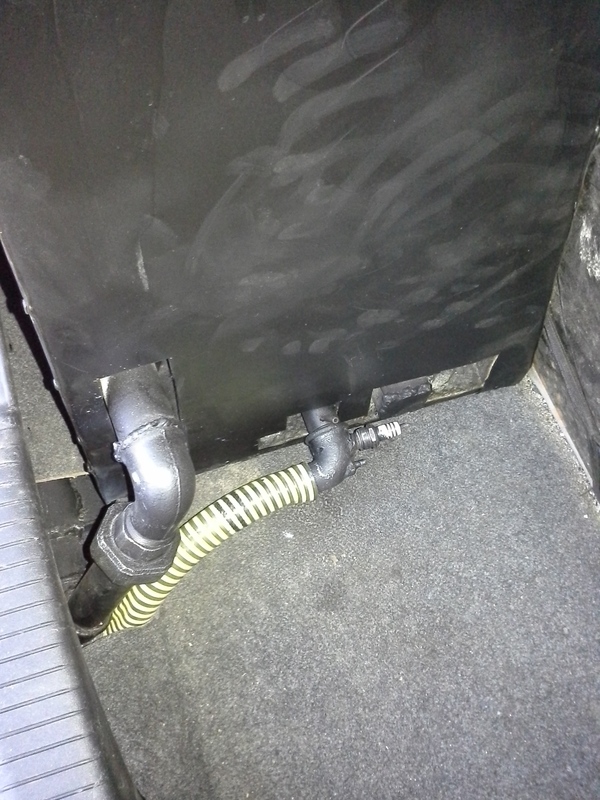 There is alsow a thin pipe that conects from the original air filter houseing to the stering wheel mechanism and i do not have any idea of what those are. Maybe the engine read vacuum from them? Just how does the computer correct the timeing? The computer calculates when to release the high voltage from coil to dist. It wants to know for example coolant temp, throttle position, air flow, rpm but most importantly crank position. It seems that info comes from the switch in your dist. And thats where you are lucky. My old -88 Volvo mpfi has only crank position sensor on the flywheel. When I turn my dist nothing happens. Dist only distributes the spark, nothing else. I’m very impressed by your compact build. Looking forward to see more. But as mentioned before: CO-detector!!! 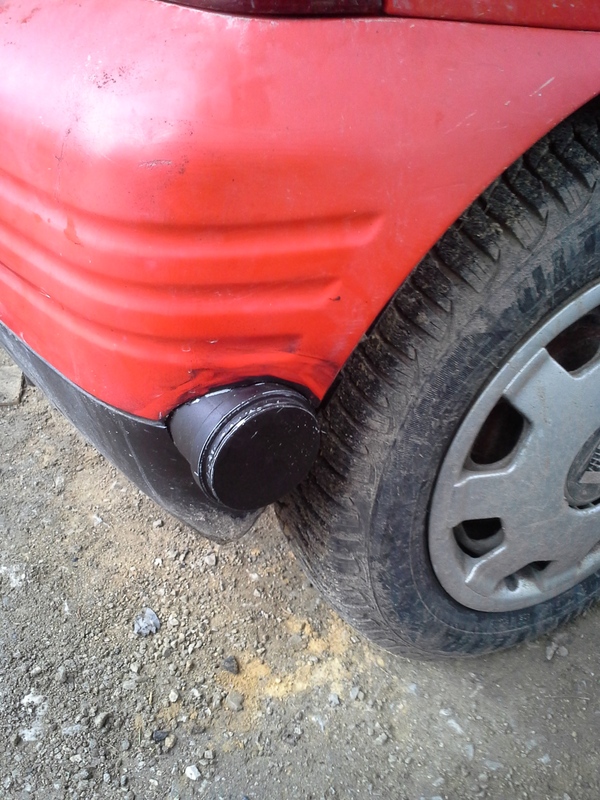 Always run your inlet vent fan and see to that rear outlet vents are free. Something was bothering me so I just reread the whole string and found the troubling part, “No problem with freazing water.” Since you are no longer using steam are you no longer using water to cool your tuyeres? If so, how does the copper avoid catastrophic oxidation? I have used a 7 mm thick walled copper tuyere successfully because the highly conductive thick copper carries heat away from the reaction zone to outside the reactor. Just a green patina on the nozzle, no deep corrosion. I have also seen 3 mm thick copper tubing corrode quickly in one of Gary’s reactors without EGR. I came across some research claiming 1/20 the oxidation rate for copper that was nickel plated so I plan on nickel plating thick walled copper for my next tuyere. Some times the basic questions are the hardest to explain. We “accept” something as working but don’t ask the basic question how. I am with Kristigan on this one. The only moving part we have in a computer controlled distributor is the rotor. The distributor and cap are fixed at a certain potion when we do an initial timing. Now the spark comes from the coil into a distributor and into the top of the rotor. As the rotor comes past the pin in the cap the spark goes into the pin and out of the cap into a spark plug wire that arks in the cylinder and ignites the fuel. In the “old” distributors we had a plate that could be moved by either centrifugal weights or vacuum.to change the timing. Now in the computer controlled distributor, I only see one way of adjusting the timing in a running engine. We have no points so the build up and break down of the coil is controlled by the computer. As previously stated the spark goes from the coil to the rotor and then to the pin. Ideally the pin and rotor are lined up directly, but if the computer activated the ccil a few milly seconds soon the rotor and pin would not be in the ultimate place but close enough that the spark could ark to the pin. The damn light bulb on my head just went on! The rotor has this long metal part seen on the right on the uper picture that alows the computer to have time to decide when to set a spark becouse it takes some time for the metal part to pass by the pin in the destributor. Is the light bulb on my head glowing right? There is alsow one thing l have noticed here. The car sometimes does NOT have max power on full throtle but a bit sooner. My guess is that the changed vacuum when driveing on chargas and maybe something else messes with the timeing. Is there a way to overryde the computer completly? Kristijan, scroll up and you’ll find this suggested by Bruce. You need a special tool VAG1551 which connects to the vehicle and locks out the ecu from automatically advancing and retarding the timing. And Tom, I’m far from expert in this field, but your explanation seems fine to me.